Which top stocks are Wall Street analysts the most bullish on? Stocks with no “hold” or “sell” ratings and a pure “strong buy” analyst consensus. These are the stocks that make the most compelling investing opportunities and are definitely worth keeping a close eye on. Using TipRanks powerful stock screener, I set out to pinpoint five stocks that command the unanimous support of the Street. You can customize the screener settings to match your investment strategy. In this case, I selected filters for mega/large-cap stocks with a “strong buy” consensus from analysts and best-performing analysts. These are the top analysts with the highest success rate and average return. From the results, you can immediately see a pie chart showing the spread of analyst ratings on that stock over the past three months. This makes it easy to spot stocks with only “buy” ratings. Now let’s delve into these five stocks which have 100% Street support. Semiconductor superstar Broadcom Ltd (NASDAQ:AVGO) is leading the pack with an incredible 24 back-to-back “buy” ratings in the past three months. The average analyst price target of $277 doesn’t disappoint either given that the stock is currently trading at just under $250. Five-star Morgan Stanley analyst Craig Hettenbach is very bullish on the semiconductor’s outlook for the rest of the year. He says the Street is underestimating AVGO and ramped up his price target from $280 to $290 last month. The new price target suggests upside potential of 16.4% in AVGO over the next 12 months. Broadcom is a top pick for the rest of the year, according to Hettenbach. He sees “multiple catalysts” on AVGO’s horizon. These include Broadcom’s $5.9 billion purchase of Brocade Communications Systems, Inc. (NASDAQ:BRCD), which is currently being investigated by a U.S. government inter-agency committee. As an Apple Inc. (NASDAQ:AAPL) supplier, Broadcom will also benefit from the upcoming and much-hyped iPhone 8. Analysts believe that Broadcom could see a 40% content gain in the iPhone 8 and might supply close to $15 of content per phone. U.K.-based Delphi Automotive PLC (NYSE:DLPH) is a leading global supplier of vehicle technology. With seven straight “buy” ratings in the previous three months, and predicted upside of close to 13%, this is one top stock to keep your eye on. Delphi has just reported very strong earnings results for the second quarter. Notably, quarterly profit spiked by 43% on the back of Delphi’s increasing involvement in the driverless car race. And good news for investors, Delphi also raised its full-year guidance to $16.85 to $17.05 billion, up from previous guidance of $16.50 to $16.90 billion. CEO Kevin Clark said: “Delphi delivered another strong quarter driven by our portfolio of relevant technologies. Based on our strong first half performance, we are raising our sales and earnings outlook for the year.” Analysts are confident that Delphi’s “smart car” strategy will ensure continued outperformance. For example, on Aug. 3, Deutsche Bank analyst Rod Lache said he is impressed by how quickly Delphi is attracting new business wins. He raised his price target from $99 to $107 (15% upside). 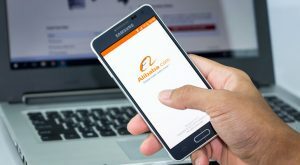 Chinese e-commerce giant Alibaba Group Holding Ltd (NYSE:BABA) has received 16 back-to-back “buy” ratings from analysts in the past three months. 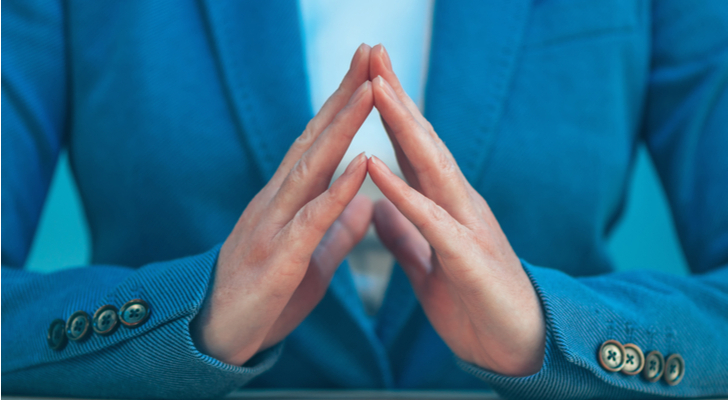 On average, analysts predict the stock has just over 6% upside potential over the next year, but some analysts are much more bullish than the average. Global medical device company Align Technology, Inc. (NASDAQ:ALGN) is soaring. Year-to-date shares are up from just $92 to the current share price of $169. Align is the manufacturer of 3D digital scanners and the well-known Invisalign transparent teeth straighteners. The success of the company is reflected in its eight straight “buy” ratings in the past three months. On average, these analysts have a $180 price target on ALGN, which suggests 6.5% upside potential from the current share price. Top Merrill Lynch analyst Steven Valiquette recently upgraded his ALGN rating from “hold” to “buy.” He also upped his price target to $193 from $175 previously. 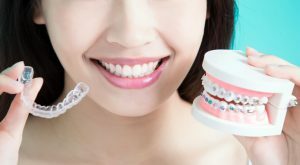 Valiquette sees significant growth potential for Invisalign and says the fast-growing stock is cheap compared to its peers. Major U.S. defense contractor Raytheon Company (NYSE:RTN) is now worth over $50 billion. And the stock certainly has the thumbs up from the Street. Seven analysts have published “buy” ratings on RTN in the past three months, with an average price target of $190. Even with prices moving higher, the price target is still 9.4% above the current share price. Only a few days ago, five-star Argus analyst John Eade raised his price target by an impressive $20, from $175 to $195. He made the move after the company reported better-than-expected earnings results for the quarter and raised its guidance for full-year 2017. 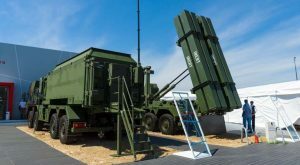 The stock has benefited from the Donald Trump administration, which Raytheon CEO Tom Kennedy says, “has opened several doors for us.” In particular, Trump has signed a $350 billion contract with Saudi Arabia that could include Raytheon’s Patriot missile system. Article printed from InvestorPlace Media, https://investorplace.com/2017/08/5-strong-buy-stocks-wall-street-is-100-sure-of/.